Lisa who joined us in May 2016, has an extensive background in medical administration and is a valued member of the practice. 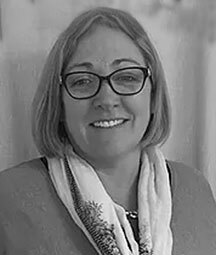 She has an excellent knowledge of the day-to-day running of the practice and is able to provide a wide range of advice to you. Lisa maintains a close-working relationship with the doctors, and will assist you in making your appointments and booking your surgery. She enjoys working in a team environment and has a sensitive, caring attitude towards the clients at Specialist Breast Care and her co-workers. Lisa is energetic, and determined to help you with any problem, concern or issue. You will find Lisa’s smiling face behind our reception desk each Tuesday, Wednesday, and Friday.